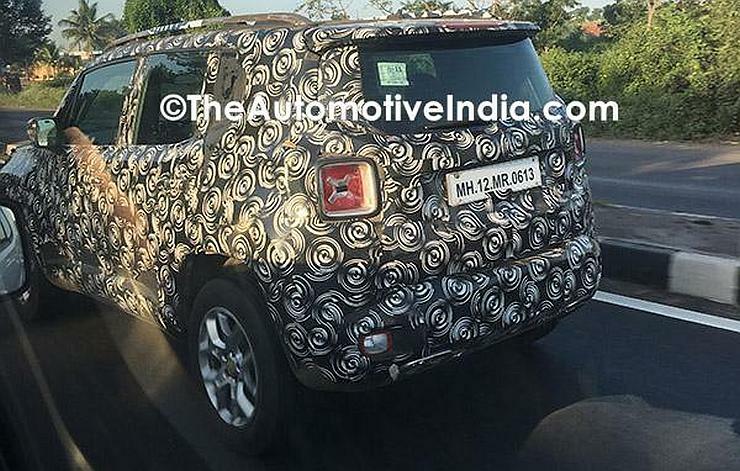 Jeep has been testing the Renegade compact SUV in India for more than two years. So, a new set of spyshots is not a big deal. But what is interesting about the latest bunch of spyshots is that they indicate a 2 liter turbocharged diesel engine in the Renegade test mule. This is the same Fiat Multijet diesel engine that is also found on the Compass. Some reports have already indicated that the Renegade that is supposed to launch in India will have a detuned version of the 2.0 Multijet diesel. These spyshots give weight to to those speculations. When it’s launched in India, the Renegade will be a sub-Compass model. It will compete with the Hyundai Creta and Renault Duster. Since it is slightly larger than the Creta and Duster, it may be priced at a slight premium. Turbocharged petrol and diesel engines are expected on the SUV. It will be sold with a front wheel drive layout on most variants except the top-end one, which may get a four wheel drive system. This is similar to how Jeep sells the Compass in India. Jeep may also offered a detuned petrol engine by using the 1.4 liter turbocharged Multiair unit that is available on the Compass. Like Jeep does with the Compass, a big export plan is likely for the Renegade also. Jeep has a big advantage of manufacturing SUVs in India when it comes to accessing cheaper labour and sourcing lower priced parts. Manufacturing quality is also top-class. So there is no reason why Jeep won’t build the Renegade here for right hand markets like UK, Australia and Thailand. The company is yet to confirm the Renegade for India officially but many officials have hinted at this vehicle. We expect it to launch by the end of next year or early 2019. Jeep may show this vehicle at the 2018 Indian Auto Expo as a teaser for fans.